We've already waxed lyrical about the P30 Pro and how its impressive array of specs might make it contender for phone of the 2019. But what of its little cousin, the 'standard' P30? Featuring a smaller screen and slimmer frame than the Pro, the P30 still delivers exquisite design in a well-established package, complete with flagship performance and a trio of cameras that, while not as striking as the Pro's quad offering, make for a well accomplished all-rounder. In many respects, however, the P30 is an echo of 2018's P20 Pro with some processor and camera updates. So does the newer, smaller-scale P series phone make sense to buy - or should you be looking for a bargain of yesteryear's phone instead? Prior to writing this review we used the P30 Pro for a full week, so moving into the smaller device in the range felt like a totally different step change. The P30 is a lot smaller, a lot slimmer and far more pocketable - although we find it altogether less exciting too. Furthermore the P30 is a lot like the P20 Pro in many respects: it's got the same scale of screen, at 6.1-inch, along with the same resolution. However, the P30 has far less bezel and no front-facing fingerprint scanner (that's embedded within the screen instead), so it's even smaller then the P20 Pro. The P30 lacks some of the features of the P30 Pro though. The latter has a bigger screen, at 6.47-inch (rather than 6.1-inch), a larger battery capacity (at 4,200mAh rather than 3,650mAh), and a thicker build as a result. The Pro also has a more advanced quad camera setup with longer-reaching zoom and Time-of-Flight camera. So if you're looking for all the most advanced tech then the Pro is the way to go. However, the P30 does offer one 'pro' over the Pro model: it's wound back the clock and included a 3.5mm headphones jack. We're big fans of the physical port, because it gives the option to use it when your Bluetooth headphones run out of battery. That's not to say the P30 doesn't have other pros though. As the smaller model of the two in the series, it has a more natural fit in the hand - the smaller battery capacity means it's simply not as thick and chunky - but we found it harder to type on this smaller handset with the default keyboard setup. The P30's screen resolution is the same as the Pro, too, but as it's squeezed into a smaller scale it's actually got a higher pixel density and looks great as a result. There's less vibrancy from the panel than last year's P20 Pro, but that's down to tuning - and we prefer the colourful but altogether more natural OLED look here. Design is something that Huawei has really nailed of late, the P30 being no exception. The finish to the rear is really striking - shown here in Aurora (which isn't a million miles from the Twilight finish of the best-looking P20 Pro) - with an almost shimmering appearance. It doesn't half like attracting fingerprints, though, which is a fairly standard thing for any current handset. The design also embodies some new ideas for the series, such as the dewdrop notch to the top of the screen. We're of the opinion that notches are a fact of life for the time being and this small-scale one is barely a distraction. It's smaller than the P20 Pro's was by a notable degree, although if you're looking at the year-old model the difference isn't as dramatic - and neither option looks as already dated as the iPhone's massive notch. Unlike the P30 Pro model, the P30 includes a conventional earpiece speaker to the top of the screen, which breaks the lip of the design a little by comparison. It's similar to the Honor View 20 in that regard, despite the Honor opting for a hole-punch camera instead. Just like the P30 Pro, the P30 also updates Huawei's in-screen fingerprint scanner offering with an optical solution. It's easy to register, quick and accurate to log-in - but not a patch on the incredibly fast Vivo Apex 2019 concept phone. Really, you need to look at our video to get an idea of just how landmark that forthcoming tech is. Many will say the physical scanner of the P20 Pro was quicker - often true, by a marginal degree - but the removal of that physical space allows the P30 to be more screen dominant and smaller in scale. There's been a lot of talk about Huawei and Leica's partnership when it comes to cameras. The P30 doesn't disappoint here - even if the experience is rather familiar to a P20 Pro mixed with Mate 20 Pro. That means one wide-angle lens, one ultra-high resolution sensor with more conventional 27mm equivalent lens, alongside a 3x optical zoom optic too. There's no Time-of-Flight camera like in the P30 Pro and there's no periscope camera for 5x optical zoom or 10x hybrid zoom smarts either. But that's half the point of the P30: it sits a peg down from the top-spec model, should you not be gunning for using your phone as a one-stop camera shop and don't want all the bells and whistles. But there is a lot of new technology also at play. Principal to which is the so-called SuperSensing sensor - which functions entirely differently to most conventional sensors. Most camera sensors have what's called a Bayer array - a four piece grid that delivers red, green, blue and green (RGBG) light frequency adsorption to the pixel sites below, with the camera then deciphering full colour information from all that information. Not so in the P30. Huawei has done away with this in place of a red, yellow, blue, yellow (RYBY) array. Why? Because the yellow light frequency is more sensitive, thus can capture more information for a more detailed result. Pair that with artificial intelligence processing and, as we found in our P30 Pro review, the low-light shotting capability is mighty impressive. However, it's a bit unclear how the P30 will function in some scenarios. Its camera app isn't the neatest. For example: shoot with default settings in very low light and you'll get a good result; but opt for Pro mode with manual settings and the image processing is entirely different, making for far noisier looking images. Huawei is on the cusp of great things, but has overcomplicated its approach with plethora options. The real take-away that most are going to love about the P30's camera, however, is its versatility. The wide-angle is great for wider scenes, the zoom is easy to use and its results - as we said in the P20 Pro - are far better than most competitors. That said, the P30 doesn't quite compete with the P30 Pro. There's an extra lick of clarity from the Pro version, likely down to the faster aperture of the main sensor and altogether different sensor and optic choices. The 5x hybrid zoom shots from the P30 also exhibit more grain and don't look quite as clean at the Pro's equivalent shots. The P30 includes a bunch of useful modes too. From handheld Night Mode - which is great for up-to-four-second exposures, handheld, combined as a HDR-like shot - to Portrait mode with its software-derived background blur. We've used a lot of Night Mode in daylight situations for its ability to produce HDR-like shots in daylight, while in low-light conditions it can exhibit some blurrier results. If you don't want to make any selections and just point, shoot and revel in the goodness then the P30's AI camera is good for this. It does get a bit overexcited with over-sharpening details and over-saturating colours in the finished result, but it's clever enough to deliver consistently strong images. It's just that the Pro is that bit better in every regard, so while the P30 is mighty impressive, we're more inclined to save our over-excitement for the bigger model of the pair. In terms of core performance, the P30 more-or-less mirrors its P30 Pro cousin (although on the RAM front there's 6GB, whereas the Pro has 8GB). It arrives mid-term in the company's chipset release cycle, which means it's the same Kirin 980 processor as per the Mate 20 Pro. That's a solid outlay, meaning mostly flagship results here. We've had one or two glitches and app crashes in this phone - which we didn't get when moving into the Pro - but after a couple of days' use things have smoothed out to operate smoothly. Huawei has long pushed its EMUI - that's Emotion User Interface, if you're wondering - with the P30 adopting a slightly updated version, EMUI 9.1, which is built over Google's Android Pie 9 operating system. There really aren't any massive changes compared to the Mate 20 here, but given how improved EMUI 9 was compared to some previous iterations, we think Huawei is in a place where customers will find this offering and its customisations to be acceptable. We've been spending our days drifting between apps for work and play without issue, from South Park Phone Destroyer gaming sessions to Gmail email sessions and so forth. The only slight shortcoming is with the battery which isn't even near to the P30 Pro's 4,200mAh cell. It'll still last through 16 hour days of relatively heavy use, though, but we just wouldn't call it a two-dayer. When it comes to recharging the 22.5W fast-charging is fairly quick, but not as ultra-fast as the Pro. There's also no wireless charging in the P30, again something the Pro offers. Does it matter? Not really, the battery is commendable given its capacity, it charges fast enough and wireless charging isn't an essential for most people. 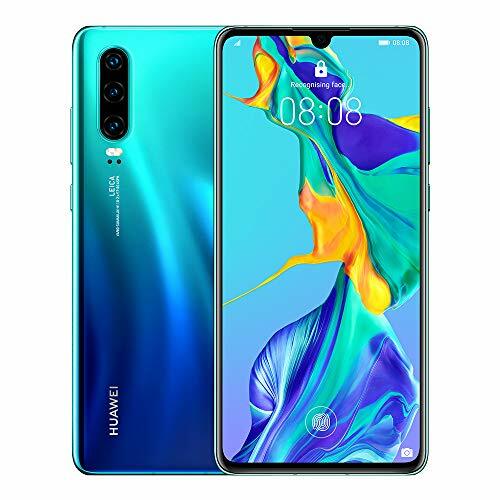 The Huawei P30 is a well designed, pocketable phone with a great camera solution. Thing is, it sits in the shadow of the P30 Pro, while last year's P20 Pro model is so similar in many regards that it might be the better purchase option on account of its now lower price point. Sure, the P30's camera is better than last year's model - but if you're looking for a better camera then, well, the Pro is the one to look at. For some people the P30 will be the perfect match on account of its smaller scale compared to both the P20 Pro and P30 Pro models. If you're after a pocketable flagship then this Huawei offers many 'pro' points in a smaller overall package. It's one to not be overlooked. The main reason to consider last year's model is the much smaller price tag. No, there's no 3.5mm headphone jack, the processor isn't quite as nippy (not that you'll notice in use, frankly), and it's slightly bigger due to larger bezel and the physical fingerprint scanner. But it offers the greatest bang for your buck, given the similarities to the P30.